The French prime minister has appealed to architects around the world to help rebuild Notre Dame Cathedral. 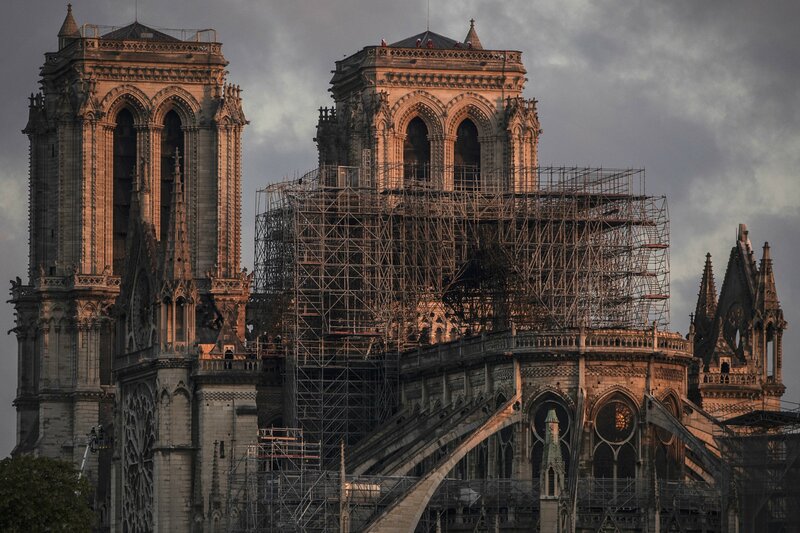 Following a special cabinet meeting, Edouard Philippe said there would be an international architectural competition to rebuild the spire of the Gothic masterpiece. The spire collapsed during the fire that partially destroyed the cathedral on Monday. He told journalists in a press statement: “Before the 19th century, the cathedral did not have a spire. It was (the architect) Viollet-le-Duc in the 19th century who decided to build the spire that we saw destroyed on Monday. He said that it is not yet known how much renovation work will cost, although pledges worth around 700 million euros ($790 million) have been made from French billionaires and businesses. There have also been offers of help globally, with European Council President Donald Tusk calling on EU member states to rally round. Junior interior minister Laurent Nunez said that Notre-Dame was within “15 to 30” minutes of complete destruction during the blaze. France’s president, Emmanuel Macron has said he wants it rebuilt within five years. In a speech from the presidential palace, he said: “We will rebuild the cathedral even more beautifully and I want it to be finished within five years. We can do it,” AFP reported. “Bear in mind that this kind of work on the Cathedral of Reims took 40 years,” he said, Libération reported. Eric Fischer, who was head of the foundation in charge of restoring the 1,000-year-old Strasbourg cathedral, was also pessimistic that it would be a swift renovation, telling AFP the Notre-Dame may take “decades” to rebuild. On Wednesday, all of France’s cathedrals will ring their bells on Wednesday to mark 48 hours since the fire began.